Photo of: West of Ireland: West Cork: Bantry Bay. 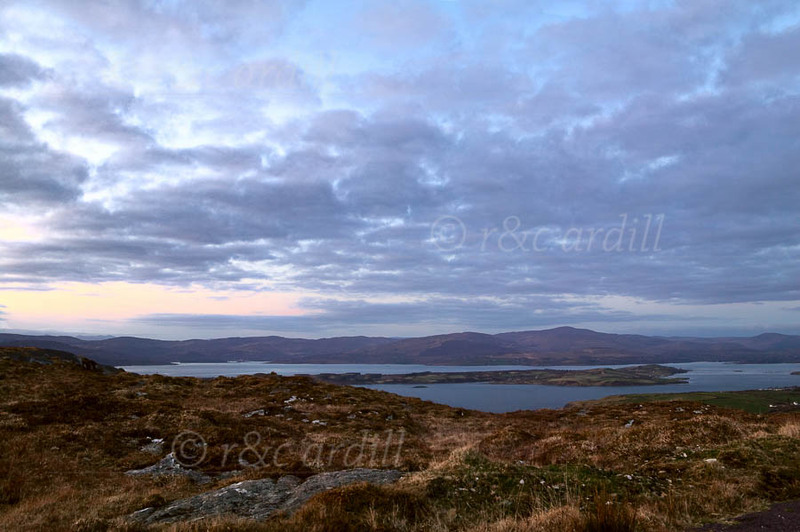 View of Bantry Bay and Whiddy Island from Sheep's Head Peninsula at sunset. The highest peak across the bay is Cobduff. The Coomhola Mountain and Kockboy are in the further distance.